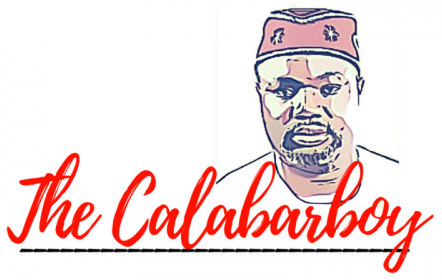 FIVE THINGS TO DO TO THIS BEAUTIFUL WOMAN | Thoughts of a Calabarboy. FIVE THINGS TO DO TO THIS BEAUTIFUL WOMAN – Thoughts of a Calabarboy. After accepting the romantic advances of this beautiful bride for the past thirty years of my life, and accepting the privileges she has granted me, I have found that my responses to her must of necessity follow certain steps. These steps are not sacrosanct, but are merely the products of the winding maze she has carved out of her history, and the unexplainable circumstances she currently exists in. While I cannot doubt her beauty and the alluring embellishments with which she remains seductive daily , I have come to see her inner filth and the unsacred ugliness of her inner influences and motivators. For these reasons, I have chosen certain parameters through which I will now relate with her, and I encourage you to do the same as well every time you think of her. ONE: ESCAPE HER. Do everything possible within your power to slide away from her powerful grip. She has a deadly hold on anyone who courts her and her words are like the piercing darts of a Yagua’s blowgun. Do not let her beauty deceive you, for it will only sap your energy and leave you useless to even your very dreams and aspirations. This is the first law, the law of escaping the corruption that lies within her grip. For every time she lays hold on you she demands that your continence be slaughtered on the altar of impudence and imprudence. So my friend continually laying with her keeps you in a perpetual trance, and all desire and predisposition to commonsense is in sudden flight from your windows of wisdom. TWO: RENOUNCE YOUR COVENANT. As long as the agreement exists, you are still bound to her and this is not by your choice, but by timeless principles you cannot break. So you must openly renounce her and sever all necessary ties to her and her properties. This way, you open the possibilities of being engaged buy another beauty, which would bring you happiness and guarantee your longevity. One of the things you must understand is that she still has legal rights over you if you do not wash yourself of the vestiges of her bloodstains, and erase every trace of her markings on your life. Though you may want to retain a part of her, be careful as this may slow your progress towards another relationship. THREE: EXPOSE HER. As you escape her, your brother may most likely fall into the traps of her deception. So it behooves you to expose her because many have come her way and she has reduced them to nothing but the echoing signals of a distance crier. Main men have become mere men at the wave of her vanities and her symbols all so deceive that everyone seems to continually believe she is the bride of the South. But she is not and she is above all covetous of the individual strengths that you possess and will only use and dump you without recourse to your emotions and affections for her. So expose her where ever you are, have no pleasantries at the thought of her and communicate of her dangers when within the discourse of gentlemen. FOUR: MISREPRESENT HER. Many people will know by first meeting that you have her signature all on you. Like the saying goes, you really do not have a second opportunity for a first impression. So at the given moment, make sure you misrepresent everything she claims to hold as value. Drag her name in the mud, slight her, cast aspersions at every turn, ridicule her servants and let invectives be the very apt description you have of her. Be articulate when doing this so that others will quickly know that you were merely an unfortunate sojourner in her labyrinth. You need to be sure your record is rid of her imprints; else people will always associate you with her and all that goes on in her territories. So don’t let any time go without you misrepresenting her so as represent yourself duly. This law is simple: have nothing good to say about her. That should absolve you of any prior associations. FIVE: GIVE HER NOTHING. Why should you waste your time investing in her after all she has done to you? She doesn’t deserve your time, your resources, your creativity or your talent. Absolutely ignore her existence. You have better things to live for and you have a life to build anyways. You remember how much you used to sing for her, and how many times you had pledged your allegiance to her? Whenever you saw her attire you melted with pride and each time you heard her signature tune you stood straight to honour her? What has that brought you? Nothing! So please give her none of you anymore. Let her fend for herself and clean up her ways, it all has little to do with you. What should annoy you even more is that 49 years after, she is still very beautiful yet without substance. She powders her face so well and wears the best of make ups, yet her breath is fowl and rarely does her speech enlighten. So of what use is your continued ties to her and how much pain would you rather she inflicts on you? Please consider these steps above and let this be the last time we talk about her. As for me, I must confess that my love for her is still as fresh like bubbling Palm Wine from the vine, and my contact with her is by blood and unbreakable. Yes, feel sorry for me but I am her reckless lover and I blindly believe in her that though it takes my life, I will stay close to her embrace. I will sacrifice for her staying beauty and will advocate her cause. I will fight for her until the time when her justice will become tenable and her luster will become a desire of all those watching. I will keep singing for her and so that one day my voice will break the weighty ceiling of her deafness, and defy the slumber of her caretakers. Perhaps one day, I may once again carry her on my shoulders and parade her as my bride in whom I am well please. As for you do the above and you should be free from her. Meanwhile let’s celebrate, she is 49 years today! Welldone calabarboy. About the best piece I ‘ve read on ur site. The message, the style and the delivery, all impeccable. But you have a little problem, Calabarboy. And that’s only if you are jealous. For I will ferociously ‘drag’ this terrible beauty with you. I will love her more than you ever can. I will give her more than you can possibly afford. I will defend her with all my wit and nourish her with all my juice. This is because I know her history. She hasn’t always been this way. She has been gang-raped by soldiers of fortune and her wares exploited by crooked\dishonorable merchants. It is a testimony to her strenght that she is still standing; to her inner beauty that she is still smiling. I have no doubt that she wiil emerge from her current dejected state, a maiden of honor. And till that happens, I will be doing my best for her. And this will be by her side. Holding her hands as we walk the high-brows and work the slums. Faithful lover that I am. But Calabarboy I will be wiilling, very willing to share her with you. And indeed with any other man, real men, who her love genuinely crave. For I know her huge heart and bountiful bossom is everly compassionately capable to nurse all who will be willing to wait on her. I love her so! Nigeria.